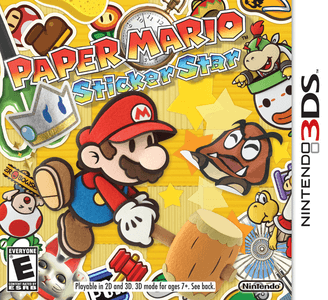 Paper Mario: Sticker Star, known in Japan as Paper Mario: Super Seal (ペーパーマリオスーパーシール Pēpā Mario Sūpā Shīru), is a 2012 role-playing video game developed by Intelligent Systems and published by Nintendo for the Nintendo 3DS console. Paper Mario: Sticker Star works okay in Citra. Graphically, the game suffers from minor/major graphical issues, and have slow frame rates even on powerful hardware. However, the game is fully playable.